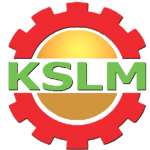 KSLM is a leading company for bakery machine and bake ware in Cambodia. We sell and provide service for Bakery Machine, Cooling Equipment, Food Processing Machine , Packing Machine, Kitchen equipment , Hotel Supply. Meat and Vegetable Machine . Address: Inside the Academy of Culinary Arts Cambodia’s building, third floor.